Anyway, these are a couple of bits and bobs I've been loving at the moment. It all looks very summery, but I guess that's because today the sun is shinning! I brought these two bralettes from Nasty Gal in early Jan with some Christmas money, and I've got to say although the bralettes themselves were cheep (£3 and £5 in the sale I think) the shipping and customs were ridiculously expensive so the order came to like £30 (mind you I did buy a top too.) Even though they were so expensive, I can safely say they are my favourite bras and I can't wait to buy more- Urban Outfitters here I come. 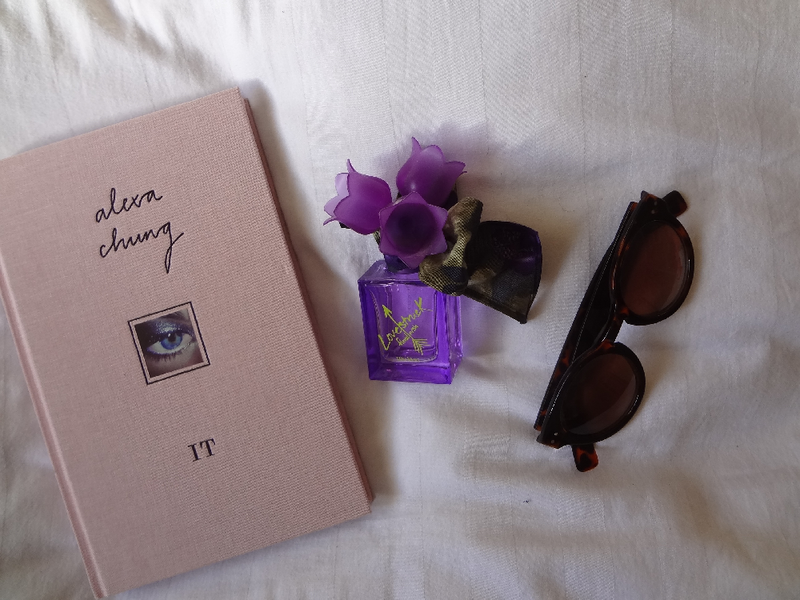 Alexa Chung is one of my style icons and I received her book for Christmas, as you may know. I love, love it and flip through it for inspo all the time! Lovestruck by Vera Wang is my favourite perfume at the moment! It was my mums but as there was only a little bit left, she let me finish it off. It smells so refreshing and I love the bottle it's in. I brought these sunnies last summer in the H&M sale for £1. I love them so much, they fit me perfectly, but I think this summer I'm going to invest in some that might last me a little longer. I love the Alexa Chung book!! Lovely pictures, I have been meaning to buy Alexa Chungs book for ages now! I seriously need to get the Alexa Chung book! I've been wanting to start making cute underwear and these are some super cute ones! Those bralettes are so cute! (and I also think that shipping were too expensive). I really want a lace bracelet top, these are perfect! Those bras are beautiful, so delicate, especially the white one!